We are a leading supplier of sign and display materials in the EU! Everything you need for your advertising business in one place. Save time and money by shopping online in one of the European largest stores. 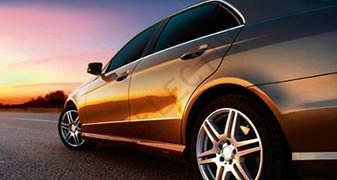 Great variety of window tinting, car wrapping and tuning materials. Manufactured to exceed all applicable performance and safety standards in the EU. 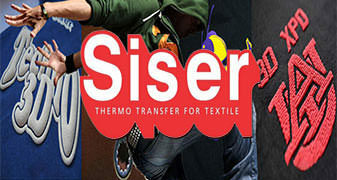 Designed for the fashion industry to offer affordable thermo transfer for textile. Choose SignGround – a supplier you can count on! See why you should work with us for your sign making and digital printing materials. SignGround works only with the best of the best. Through the years we have tested a lot of products manufactured by different companies. We sell only the top quality materials of each company making sure our customers receive only the highest quality. Unlike other suppliers of advertising materials, SignGround offers you the option to buy exactly what you need.. and do it by the meter. 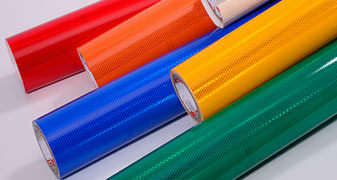 Most of our PVC films and vinyls can be purchased per meter and combined with other products in a single order. SignGround is proud to offer our high quality materials at the best possible price. We constantly strive to provide our customers with the lowest prices found online in the EU through our easy to use website. Our warehouses are always fully stocked with the products we sell. Thus, handling your order takes a lot less. Except products that need additional processing like cut to size sheets, we guarantee your order will be sent in up to 1 business day. Knowledge is key to everything in this business. How to use a material, what is the best area of application, how to store, how to pack.. All the practice we have had since we are in this business helps us to handle all orders with care and perfection. Still not persuaded that we are the right choice? Do not think any further. Customer satisfaction is important but we want to have our customers absolutelly thrilled with their orders. That is why we offer 100% quality assurance for all our products. SignGround Weekly Deals: Always the best prices! Great savings on digital printing films, plastic sheets, textile vinyls and more. Available while supplies last! I highly recommend SignGround. I started with 1 roll to check if everything is real and now I am regular customer for Orafol and Siser products. Delivery time is less than 2 days!! The option to buy per meter is great for small businesses. After we had a problem with our dealer of car window films we found an alternative in SignGround products – Reflectiv for car windows. We are very happy with the performance of the material and we now use it on every car.